What is podiatry and what does the podiatrist treat? Podiatry is one of the paramedical professions. “Podiatrist” is a regulated profession. The 4-year full-time higher education course in podiatry can only be taken in two places: at the Fontys College in Eindhoven and at the Saxion Hogeschool in Enschede. You are only allowed to use the title podiatrist if you have successfully completed this 4-year course at one of the above mentioned institutes. In addition, a podiatrist is one of the 10 paramedical professions. This is regulated by article 34 of the law-BIG. A podiatrist treats people with foot, ankle, knee and hip complaints arising from abnormal functioning of the feet. A podiatrist treats many different complaints, with the aim of eliminating, reducing or compensating disorders in the functioning of the support and musculoskeletal system, resulting from abnormalities in the (position of the) foot. A podiatrist often sees people with complaints that have existed for quite some time. The thought “what comes spontaneously will also disappear spontaneously” is often not true for the feet and the complete support and musculoskeletal system. 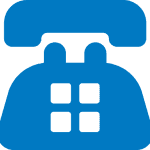 Fatigue in the feet and legs, lower back pain, pain in the feet, cramping, tingling, etc., are all indications for a GP or specialist to refer you to a podiatrist. Reducing foot, ankle, knee and/or back complaints, in so far as they are related to problems of the foot/abnormal postural characteristics. Advising on foot health and foot care or checking for`0 pressure spots or other possible foot problems. In some cases the patient himself can perform recommended exercises, or is given advice such as alternating load and rest periods. By placing felt, painful (pressure) spots can be temporary relieved of pressure, bandages or taping can relieve affected areas after which any definitive therapy (which can be manufactured in the meantime) is ready to be used. Protektieve of corrigerende siliconen orthesenProtective or corrective silicone orthotics Protective silicone orthotics are made to protect a sore spot, usually on, under or between the toes where correction is no longer possible. 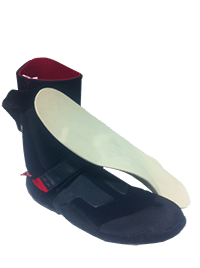 Corrective silicone orthotics are made to correct an abnormal toe position. Depending on the condition and mobility of the toes, orthotics will have to be worn until the patient is free of complaints, or for life to prevent symptoms.Podiatric insoles Podiatric soles measured individually on the foot can aim to correct positional and functional abnormalities of the lower extremity and the spine, to compensate for structural abnormalities in the foot, to relieve vulnerable structures, or have a combination of goals. The podiatric soles are flexible and, depending on the purpose, made of harder or softer material. Depending on the condition, the podiatric soles must be worn up to several months after the patient is free of complaints (e.g.in case of an injury) and in other cases for the rest of their life to prevent complaints (e.g. in case of a difference in leg length or a hallux valgus (crooked big toe)). In case of the continued wearing of the soles, an annual inspection is required with relation to age-dependent change of the foot and/or change on the basis of the corrective power of the soles. On the basis of the findings at the annual inspection the soles are modified or replaced. Usually, the average life span of the soles 2-3 years. Thanks to 3D-VCN using the exact foot shape through 3D CAD-CAM technology, the foot shape used in orthopaedic insoles can be related to podiatric corrective elements. Also, the manufacture of the podiatric soles takes place in our own 3D-VCN workshop in Eindhoven. It is clear that the old fashioned plaster print or blueprint gives a less exact reproduction of the foot. In our workshop we have a range of hardnesses and covers to perfect each sole according to the circumstances in which the podiatric soles will be worn. 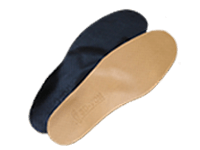 Furthermore, the podiatric insoles can be produced in many different colours and if desired, they can be manufactured with anti-allergic glue or top layers. The soles can vary from soles for pumps to soles for surf shoes. At 3D Foot Centre Netherlands the only limitation is our imagination. A 4-year higher education with a study load of 6560 hrs. The authority to carry out diagnostic tests/methods with regard to both the foot and the postural characteristics of the human body and the authority to formulate a podiatric diagnosis as the basis for a treatment. The title of “podiatrist” is regulated as opposed to those of podologist, podo-kinesiologist, or podo-postural-therapist. The members of these professional groups often attend a non-regulated course at the “Podologic Training Institute”. The podology course is a part-time training with various routes that is accessible to everyone and only takes an average of 6 months. The podiatrist cooperates with pedicures for the necessary foot care and to have the pedicure timely recognize any potential foot problems and when in doubt, advise the patient to have their feet inspected by the podiatrist after referral by the GP. In some cases, however, orthopaedic footwear/surgical intervention is required, and then the podiatrist, with a cover letter from the referrer, will refer you to an orthopaedic shoe maker/orthopedic surgeon. Most podiatrists are members of the NVvP. Each member of the NVvP is checked once every 5 years at his or her practice by the Review Committee. Practice furnishings, patient registries and hygiene are reviewed. Also, members of the NVvP must attend a minimum number of continuing training courses every year. Membership of the NVvP is a kind of quality label.